HID Xenon Coversion kit. Our HID conversion systems are suitable for use on dipped or high beam applications. 300% brighter than the average equivalent 60 watt halogen lighting. Simple to install, plug and play wiring harness. 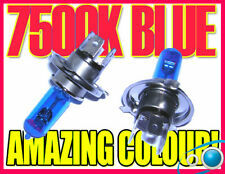 New Turborevs H7 6000k HID Xenon Conversion kit fits Seat Leon (00-06), Ibiza (00-08) and Skoda Fabia (03-07). HID Xenon Coversion kit. Our HID conversion systems are suitable for use on dipped or high beam applications. Bulbs are 7500K Colour Temp. Contains Xenon & Krypton Gases. This is 1 pair of H4 Xenon headlight bulbs. Xenon HID conversion kits. HID Look at a fraction of the cost. These bulbs have been manufactured to a high quality and have the blue cap on top of the bulbs. Bulbs are 7500K Colour Temp. These are superwhite with a NOTICEABLE blue tint! Contains Xenon & Krypton Gases. This is 1 pair of H4 Xenon headlight bulbs. Xenon HID conversion kits. These bulbs have been manufactured to a high quality and have the blue cap on top of the bulbs. 89001411 LEFT SIDE XENON HEADLAMP RENAULT ESPACE < span class = notranslate ' > 2.2 D 5 m 95KW (2001) 73930912 PARTS USED. Engine code (located at point P5 of the booklet): G9TA7. Power: Diesel. 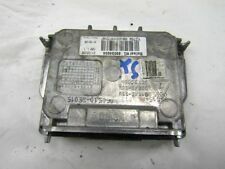 89034934 HEADLAMP XENON RENAULT CLIO RS < span class = notranslate ' > 2.0 145KW 6 m B 3 p (2007) PARTS USED. MPN 89034934. Year: 2007. Power: benzina. This will truly transform your car and your driving experience as you will have more light coming out of your headlights. Renault Clio HID Xenon Conversion Kit. 8000k White with a hint of blue - Lush.